The Smith Family has been committed to quality, service, and customer satisfaction since 1911. Smith Packing Company is a custom meat processor, food distributor and consolidator that offers storage and transportation services. Today Smith Packing Company complements our focus on fresh provisions with a full line of food service items. Our extensive product mix allows Smith Packing Company to provide food service solutions for the center of every plate and more. Smith Packing Company features a full line of food service items from many of the top food manufacturers in the United States. Our federally-inspected USDA processing facility offers our regional and export customers access to the finest meats available anywhere in the world. Our dedicated facilities and trained staff are prepared to provide superior quality and value to our customers. Smith Packing Company has developed relationships between suppliers and customers who share our desire to provide the freshest beef, pork, poultry, eggs, seafood, dairy, produce, prepared entrees, desserts, appetizers, bakery supplies, canned goods, oils, spices, and many non-food related supplies. 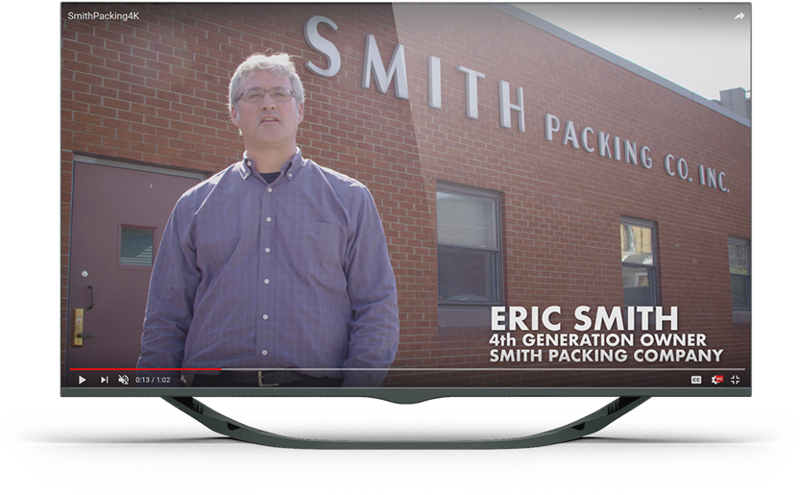 Smith Packing Company is a custom meat processor, full line food distributor, and provider of global logistics for dry, chilled, and frozen foods.